Ahoy matey! 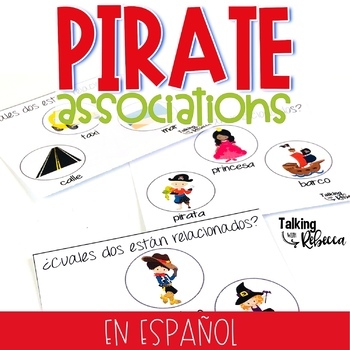 Hoist yer colors and come learn how to make word associations with three pirate themed speech therapy activities in Spanish. 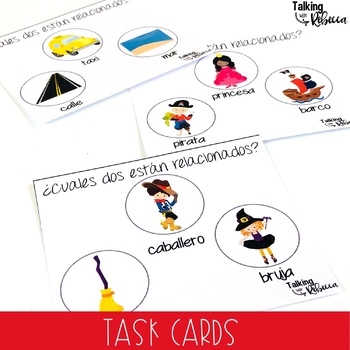 From task cards to a matching activity based on pirate vocabulary, these low prep activities are engaging for your students. This is a great resource for Talk Like a Pirate Day in September! Students match items that go together and use the sentence strip to put it all together. Students decide what goes with an item. 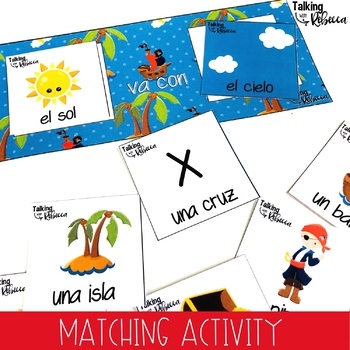 This activity gives two choices and includes pictures, perfect for non-readers! Three items are pictured on the card. Students decide which two go together and which one does not belong. 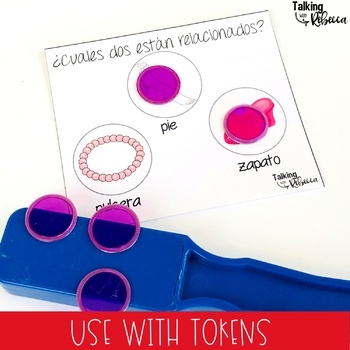 Use as a smash mat, cover with tokens, or use dry erase markers to mark the correct items. All stimulus items are in Spanish in this download. If you are interested in an English version, check it out here.